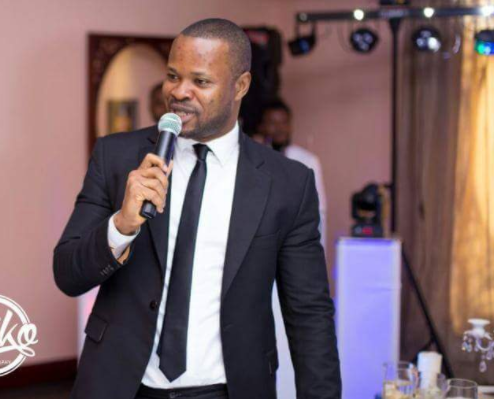 #BBNaija UPDATE; Voice behind Big Brother Naija Revealed as OAP/Actor Ejike Ibedilo! 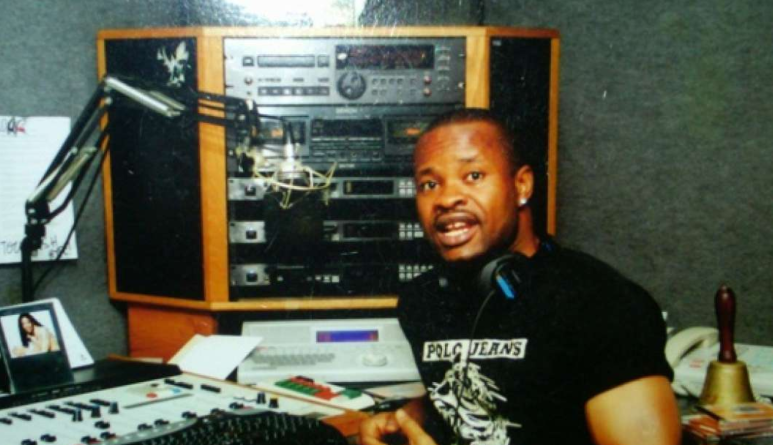 According to a new report by Listsng the power voice who represents Biggie in the current Bg Brother Naija reality show has been unraveled to be broadcaster,Actor and OAP Ejike Obedilo. 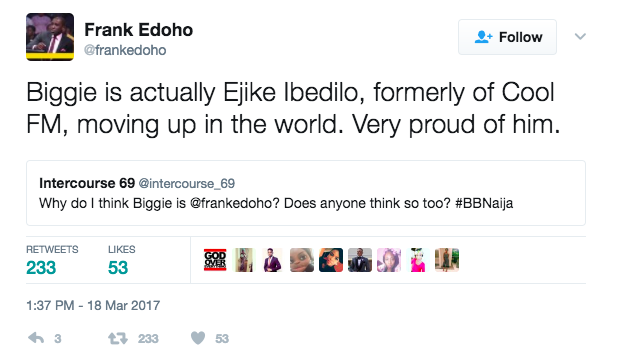 Fans who thought the voice was that of who wants to be a millionaire star Frank Edo asked him and he confirmed that he wasn't the voice but it was indeed that of Ejike! There you have it folks did Frank ruin any surprises for you? !